The Oaks Club at Valencia is an elegant golf and country club located in Stevenson Ranch, California. 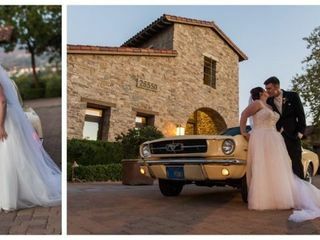 This sophisticated wedding venue is happy to host both your ceremony and reception in one of their indoor or outdoor event spaces. 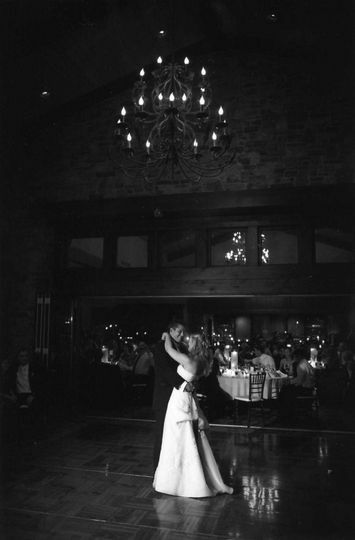 Their experienced staff will work with you one-on-one to ensure your special day is everything you dreamed it to be. 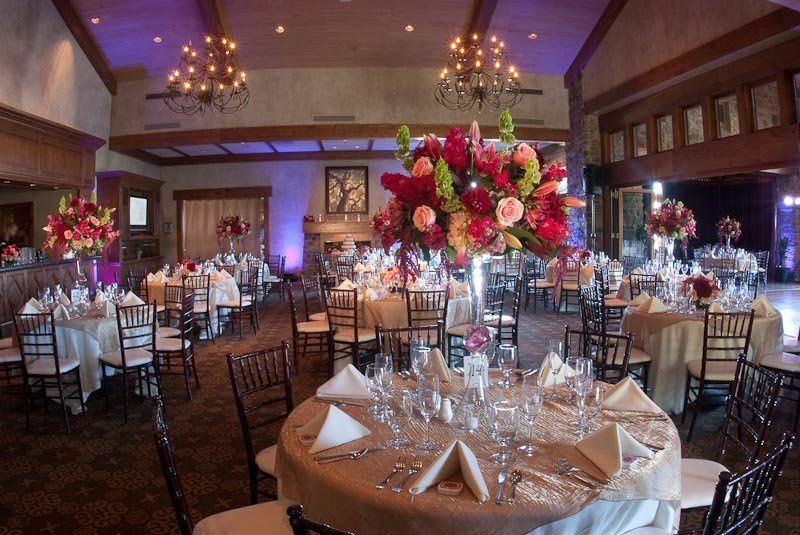 The Oaks Club at Valencia prides themselves on their gourmet menus, elegant decor, and breathtaking views of Santa Clarita Valley. 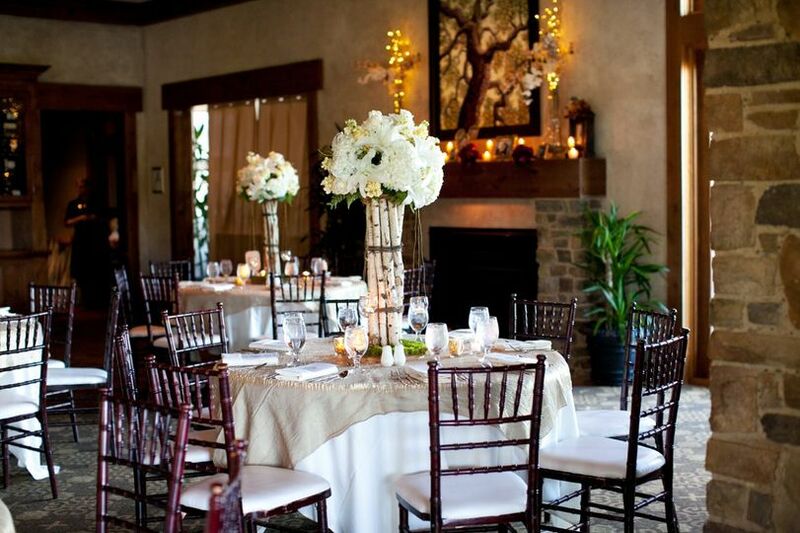 Couples can host up to 200 guests at this luxurious wedding venue. 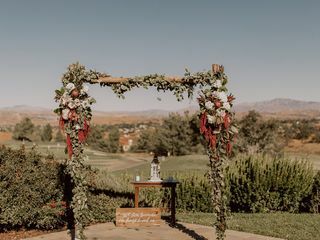 You can say your “I do’s” on their championship, 18-hole golf course. Their First Tee Ceremony Site is set against the lush, green backdrop of their pristine course. From there, you can dine and dance the night away under the stars on their event lawn. This unique outdoor space is covered in Italian market lighting for an elegant atmosphere. You can also use their famed veranda, which features panoramic views of the Santa Clarita Valley. 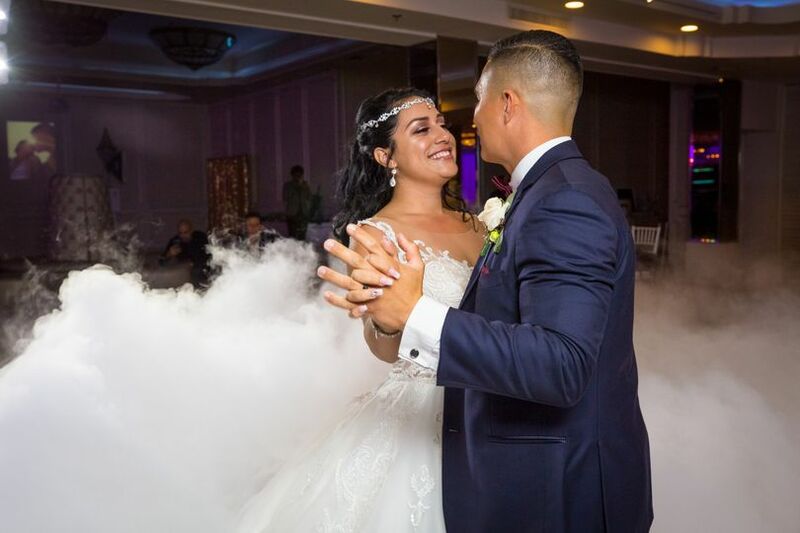 If you prefer an indoor celebration, you and your loved ones can celebrate in the venue's Valencia Ballroom and Lounge. 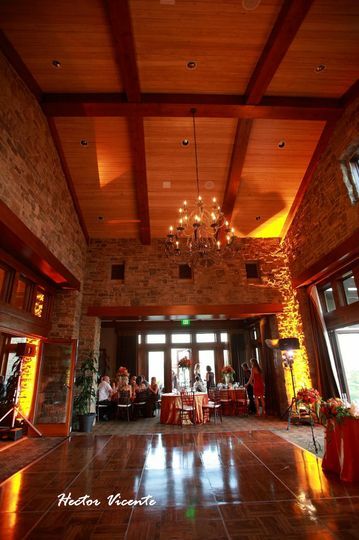 This spacious ballroom boasts a gorgeous full-service bar, a wrap-around terrace overlooking the golf course, and picturesque views. 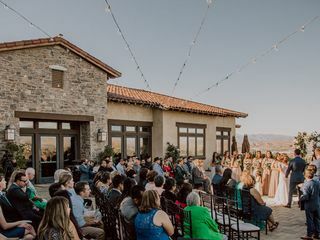 The clubhouse itself features old California ranch-style architecture, an interior of distressed altar wood trim, vaulted ceilings, and stacked stone accents. very friendly, responsive & on top of their game. 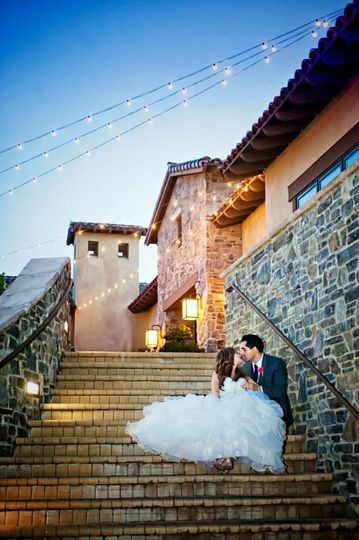 One of the hardest things in planning a wedding is finding a perfect venue. TPC Valencia, Now known as The Oaks Country Club, is that choice! Sue, Tina and Justin helped make our daughter's wedding spectacular and magical. 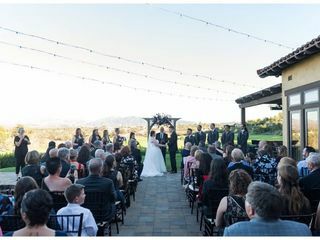 We had the ceremony outdoors overlooking the Santa Clarita Valley, and moved to the side patio for cocktail hour. 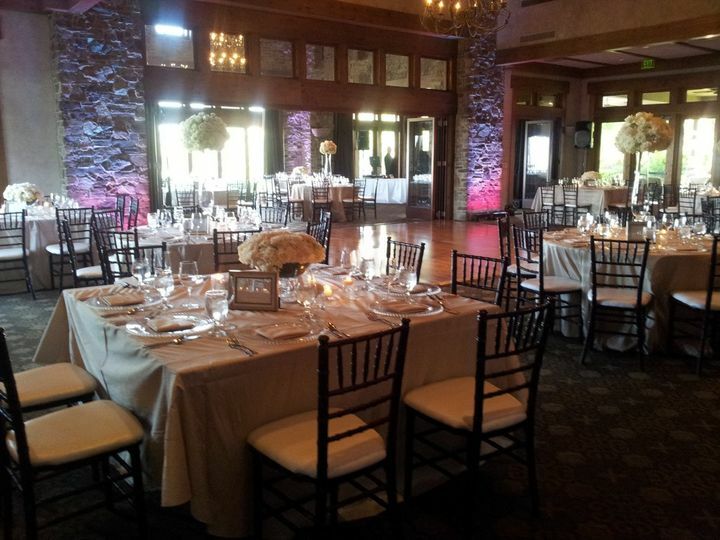 During that time, the ceremony area was re-configured by staff with comfortable outdoor furniture around the fire pit. This area was enjoyed by many in the evening as we all socialized with our wine. 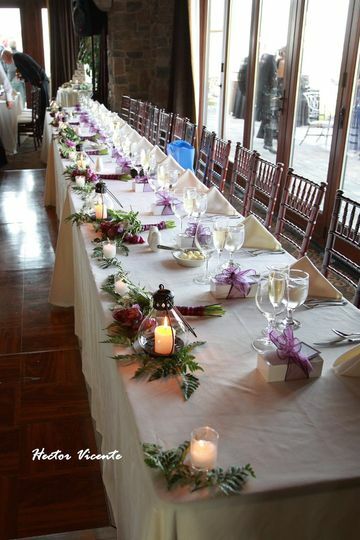 The reception was flawless, with 1 worker for every 10 people. Food was hot and delicious..the menu options are plentiful and the chef accommodates vegan appetites as well as children's menus. All in all, a marvelous time! One added note, they also made sure our vendors (photographers, coordinator, pianist) were fed and throughout the night checked in with them if they needed anything. Couldn't have asked for more! 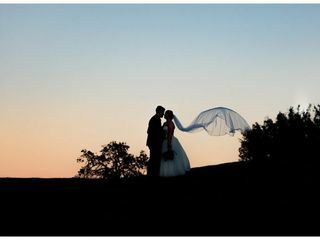 TPC was by far the best decision we made while planning our wedding. After visiting multiple venues we always went back to TPC. The stellar views, venue, and food were unbeaten! 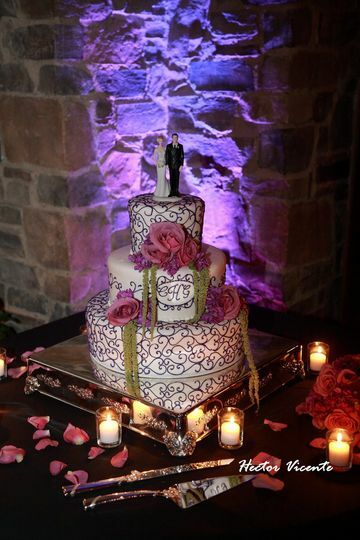 The icing on the cake was having amazing staff who took care of each and every detail. They worked with us every step of the way and were always available to address our concerns. Much to our surprise we even had our personal waiter during our wedding day! Our day was perfect and we know TPC had a huge part in that role. Thank you for making that day unforgettable! We were truly blessed! The Oaks Grille at TPC Valencia is complete with breathtaking views of the Santa Clarita Valley and some of the best food we&apos;ve ever tasted! 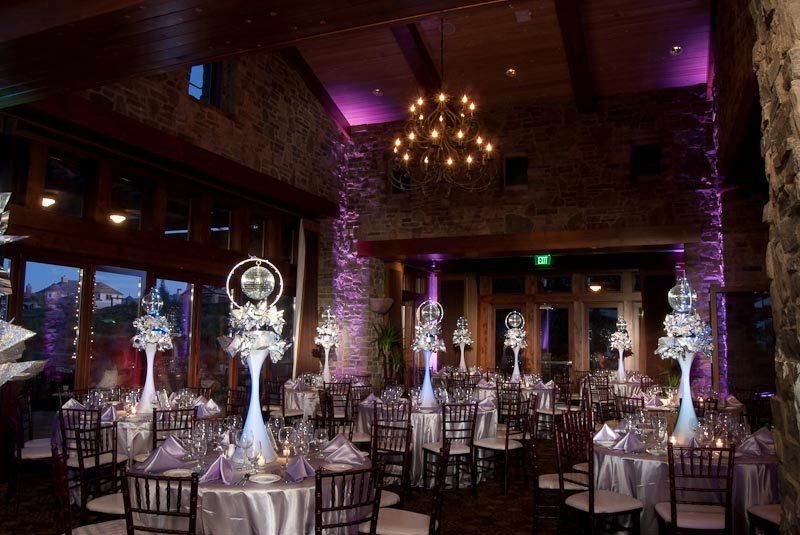 Their modern and luxury look paired with their amazing staff make this venue a great option for a large variety of events. Highly recommend them!